Regions Toxicology Education and Clinical Services is a Division of the Emergency Medicine department at Regions Hospital. The Service plays an active role in the the education of fellows, residents, students and nursing personnel. In addition to education, the Regions Tox Service is actively engaged in patient consultations throughout the Twin Cities of Minneapolis and Saint Paul, and toxicology Research. 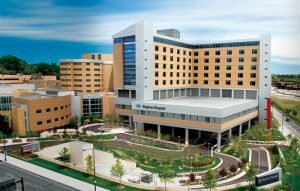 Regions Hospital is a Level I Trauma and Burn Center with an annual emergency department census of 77,000 patients, serving Minnesota and western Wisconsin for more than 130 years. Regions is a private, non-profit hospital providing outstanding care in women’s health, heart, cancer, surgery, orthopedics, neurosciences, burn, emergency care and more. The Minnesota Poison Control System (MPCS) located at Hennepin County Medical Center (HCMC) in Minneapolis, received over 74,000 calls, of which nearly 64,000 involved human exposure to a potentially harmful substance. 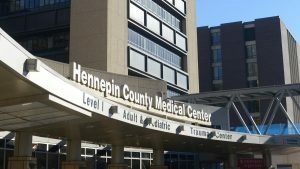 Hennepin County Medical Center (HCMC) is a Level I Trauma Center with a hyperbaric chamber and an annual emergency department census of over 98,000 patients. HCMC has a long tradition in medical education since its establishment as the first teaching hospital in Minnesota. Residents are trained in the art and science of practicing compassionate and competent care.